For traveler tips, ratings, other places to visit, and more tourist information, go to the Alexandria trip planner . Houston to Alexandria is an approximately 5-hour combination of flight and subway. You can also do a combination of bus, flight, and subway; or drive. Traveling from Houston to Alexandria, you'll lose 1 hour due to the time zone difference. Plan for a bit cooler temperatures traveling from Houston in November, with highs in Alexandria at 59°F and lows at 42°F. Wrap up your sightseeing on the 22nd (Thu) to allow time to take a train to Charlottesville. On the 23rd (Fri), get engrossed in the history at Frontier Culture Museum, then steep yourself in history at James Madison's Montpelier, and then learn about all things military at Vietnam War Foundation Museum. Here are some ideas for day two: admire the natural beauty at Thomas Jefferson's Monticello, contemplate the long history of James Monroe's Highland, then experience rural life at Carter Mountain Orchard, and finally admire the striking features of University of Virginia. To find reviews, more things to do, where to stay, and tourist information, read Charlottesville online trip itinerary builder . You can take a train from Alexandria to Charlottesville in 2.5 hours. Other options are to drive; or do a combination of subway and flight. Traveling from Alexandria in November, expect slightly colder with lows of 37°F in Charlottesville. Finish your sightseeing early on the 24th (Sat) to allow enough time to drive to Williamsburg. Kick off your visit on the 25th (Sun): take in the architecture and atmosphere at Bruton Parish Episcopal Church, then explore the world behind art at Abby Aldrich Rockefeller Folk Art Museum, and then contemplate the long history of Colonial Williamsburg. To see where to stay, photos, maps, and more tourist information, go to the Williamsburg trip builder . Drive from Charlottesville to Williamsburg in 2.5 hours. Alternatively, you can take a bus. Expect a daytime high around 63°F in November, and nighttime lows around 42°F. Finish up your sightseeing early on the 25th (Sun) so you can go by car to Virginia Beach. 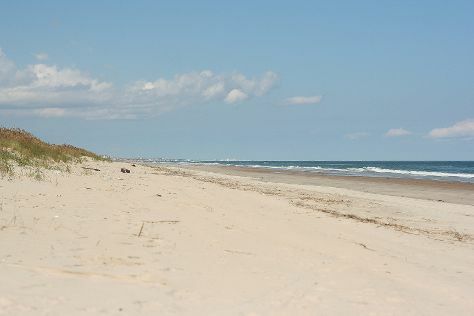 Kick off your visit on the 26th (Mon): enjoy the sand and surf at Sandbridge Beach and then learn about all things military at Military Aviation Museum. To see photos, traveler tips, and more tourist information, you can read our Virginia Beach trip planner . You can drive from Williamsburg to Virginia Beach in 1.5 hours. Alternatively, you can take a bus; or take a bus. November in Virginia Beach sees daily highs of 62°F and lows of 43°F at night. Finish up your sightseeing early on the 26th (Mon) so you can travel back home.